Not every minute of every day can be devoted to your project assignments. You know that you have to take time taken for nonproject tasks such as attending staff meetings and participating in training workshops. And then there are also vacations, holidays, and personal time off. 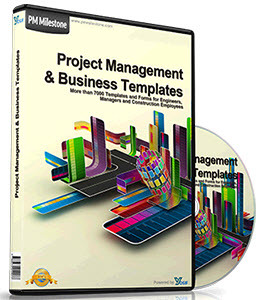 To handle nonproject tasks and nonworking time, your project server administrator or resource manager creates and publishes a special administrative project. This administrative project contains "tasks" such as vacations, sick days, holidays, civic duty, training, and family leave. More tasks can be added by the project server administrator as needed. 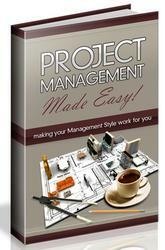 You are added as a resource on the administrative project, but you are not assigned to any of its tasks. You assign yourself to an administrative task when you need it. Not only is your time accounted for, but your nonproject time is reflected in your availability data seen throughout the team and organization. 2 In the side pane, click Notify Your Manager Of Time You Will Not Be Available For g-Project Work. o A timesheet listing all the available nonproject categories appears. Note If instead you see a message saying that you are not assigned to any tasks on any administrative project, it means that your project server administrator has not yet published an administrative project for you. Contact your administrator or project manager about this. 3 Select the appropriate category and then enter the number of hours in the timephased portion of the view. Your nonproject task information is added to your Timesheet as a task. The non-project task information is also submitted to the project server for incorporation into the project plan and the enterprise resource pool availability data. To report the actual time you spent on the non-project task, enter and submit the information in your Timesheet like any other task.